The first phone call today won’t be my mom or my dad calling to wish me a happy birthday but somehow I know theirs will be the first wishes of the day. That is how it always was and how it shall remain. And the first face I shall see when I wake up is the same face (or close to the same face) it has been since I was a child. 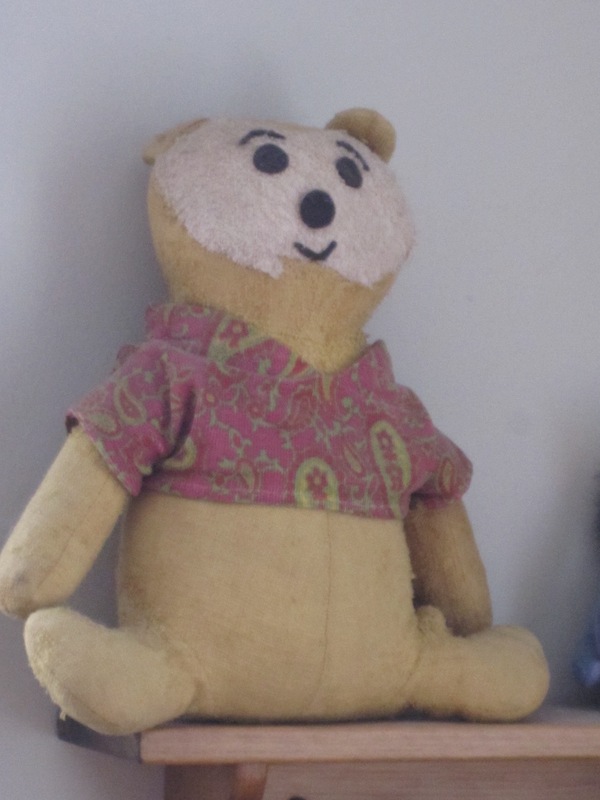 My mom made this Winnie The Pooh for my first birthday in 1970 . Since then he has helped celebrate my successes, been suffocated in my hugs, saturated in my tears and dragged through more drama than a bear should have to face. But his allegiance to our friendship remains just as strong now as it was then. Birthday celebrations would not be the same without Winnie. 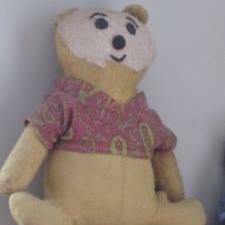 It may be a childish tradition but that bear represents a great deal of love and a longing to hold on to the memories that mean so much. He has seen his share of joy and tragedy. He has undergone facial reconstruction and some botched plastic surgery (thanks to an over-excitable Labrador Retriever that belonged to a roommate) but he never fails to hang in there to share year after year with me. He and I have weathered many successes and many ominous periods together but he still remains the same source of comfort he has always been. I can’t imagine a birthday celebration without him. 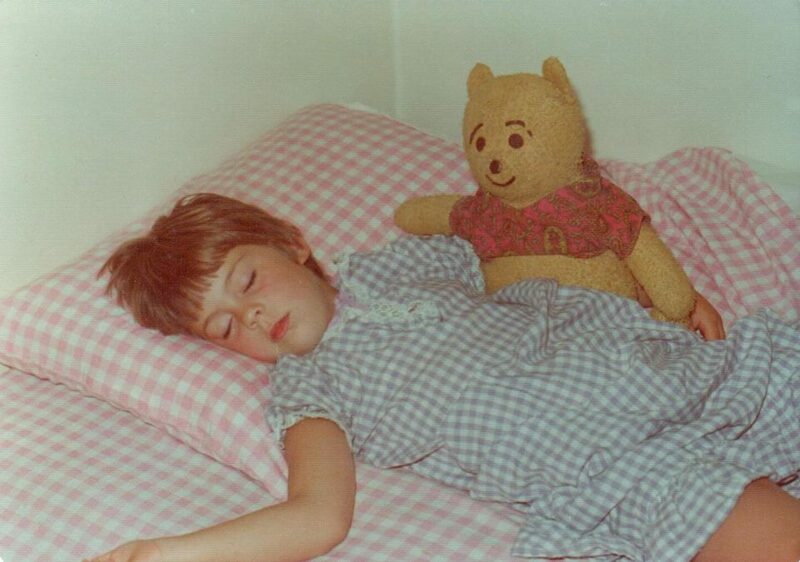 And now that my mom is gone, Winnie is the strongest connection to her that I can still hold in my hands. His abiding presence in my life not only allows me to look to the future but keeps me rooted in my past. Happy birthday Winnie. May we be together, sharing our day, for many years to come.